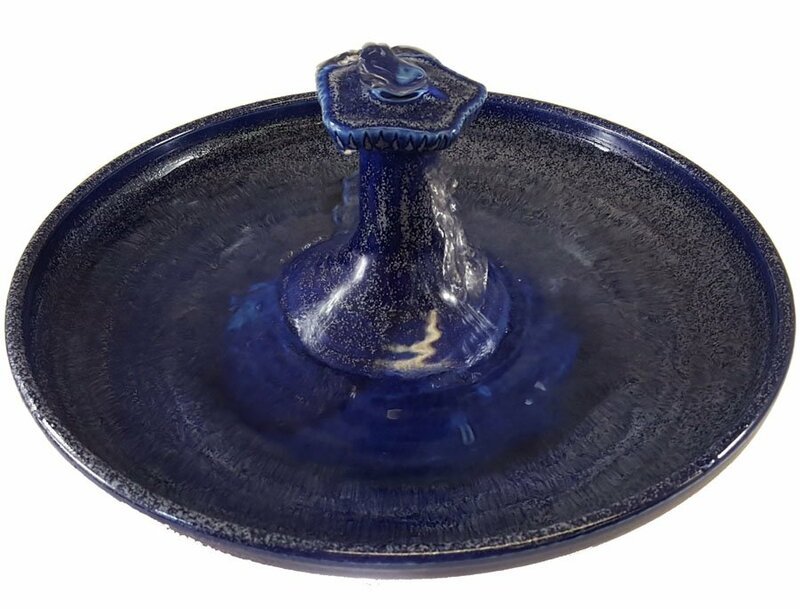 cat water fountain glazed in Lapis 100% food safe. 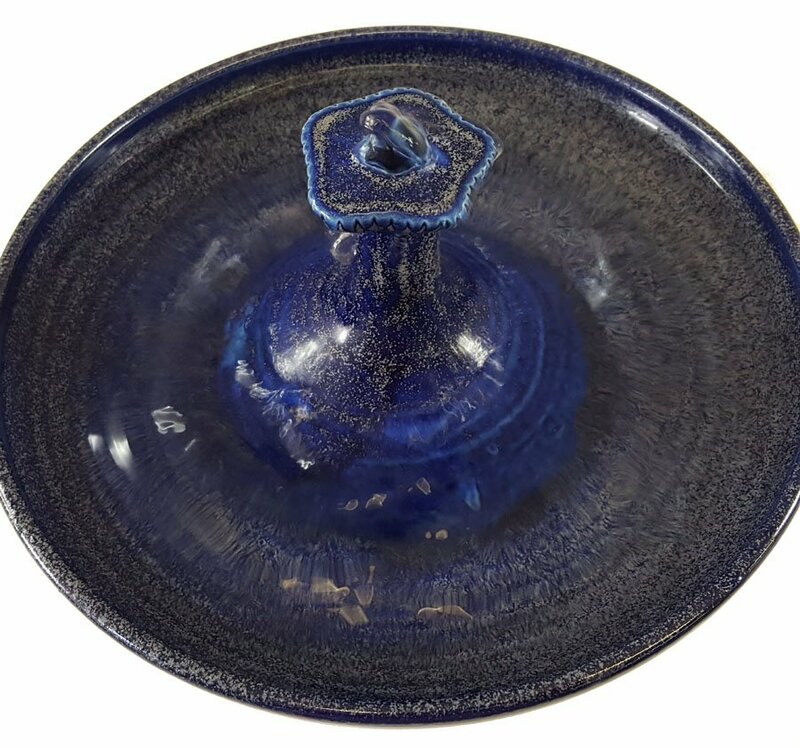 A beautiful cat water fountain glazed in Lapis showing a blend of gorgeous blues studded with silver. Water bubbles up over the top and trickles from the rim with gentle or no sounds and no splash. 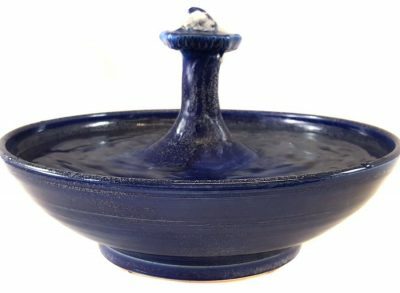 Your cats can drink from the top, the trickles or the bowl. Adjust the flow up for a bigger or smaller spout.